Added April 12, 2019 from Francesco Sorbara. Added April 6, 2019 from Francesco Sorbara. 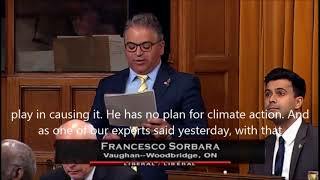 Added March 19, 2019 from Francesco Sorbara. 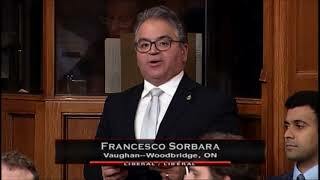 Added March 1, 2019 from Francesco Sorbara. 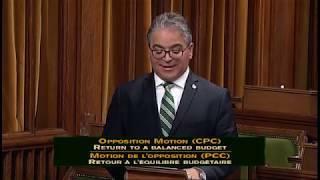 Added February 28, 2019 from Francesco Sorbara. 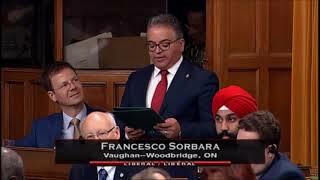 Added January 30, 2019 from Francesco Sorbara. 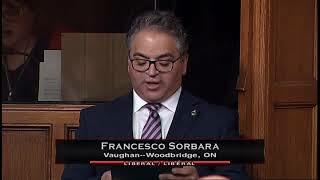 Added January 29, 2019 from Francesco Sorbara. 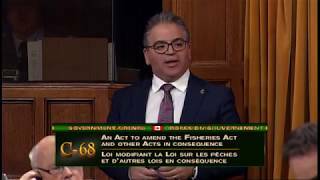 Added December 18, 2018 from Francesco Sorbara. 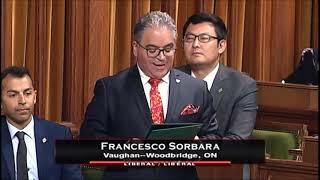 Added December 5, 2018 from Francesco Sorbara. Added November 28, 2018 from Francesco Sorbara. Added November 27, 2018 from Francesco Sorbara. 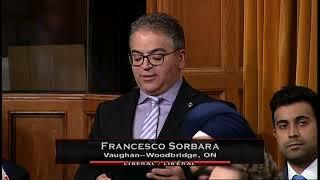 Added November 20, 2018 from Francesco Sorbara. Added November 7, 2018 from Francesco Sorbara. 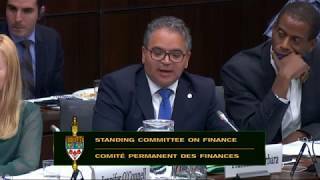 MP Sorbara rises in the House to speak on Canadian credit unions and caisses populaires, serving over 10 million Canadians and employing more than 75,000 individuals. 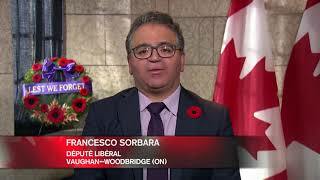 Added November 4, 2018 from Francesco Sorbara. 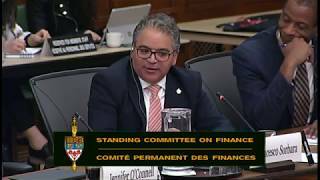 MP Sorbara rises in the House to ask a question to Minister Morneau on what measures our government has taken to ensure that Canadian families benefit from the investments we've made. 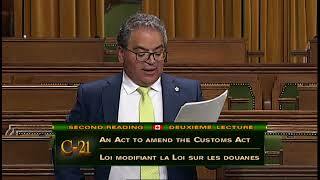 Added October 23, 2018 from Francesco Sorbara. I rise today with the honour of speaking about the opening of The James DeZen Centre of Abilities in my riding of Vaughan-Woodbridge. Yesterday, this incredible forward-thinking centre opened its doors and arms to our community. 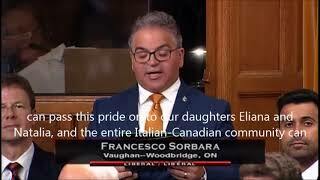 Added October 24, 2018 from Francesco Sorbara. 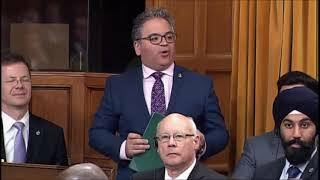 Added June 6, 2018 from Francesco Sorbara. Added May 16, 2018 from Francesco Sorbara. It is with great pleasure that I join with the Muslim community in Vaughan-Woodbridge, in Canada and around the world to mark the start of #Ramadan. This month long journey of fasting and prayer encourages spiritual growth, reflection and compassion for those less fortunate. To all those observing this month, Ramadan Kareem! Added May 10, 2018 from Francesco Sorbara. Added May 8, 2018 from Francesco Sorbara. Added May 2, 2018 from Francesco Sorbara. Added April 25, 2018 from Francesco Sorbara. 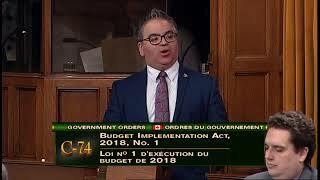 Added April 17, 2018 from Francesco Sorbara. 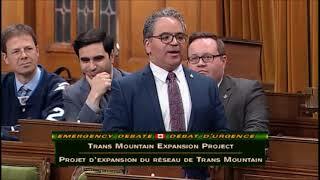 Emergency Debate 2017-04-16, The Trans Mountain Pipeline. 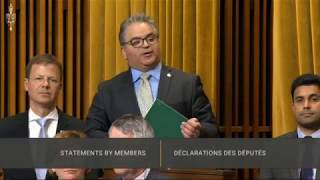 Added March 27, 2018 from Francesco Sorbara. 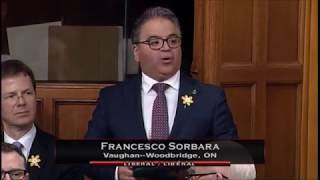 Added February 28, 2018 from Francesco Sorbara. 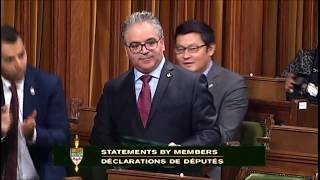 Added February 23, 2018 from Francesco Sorbara. 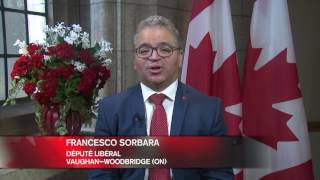 Added February 12, 2018 from Francesco Sorbara. 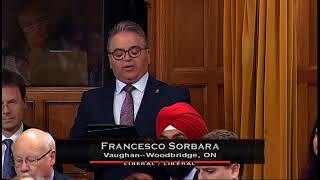 Added February 6, 2018 from Francesco Sorbara. 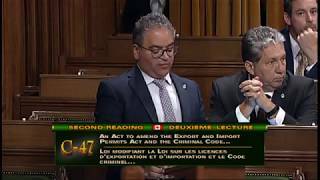 MP Sorbara rises in the House to ask a question on CanCode from the Minister of Innovation, Science and Economic Development. 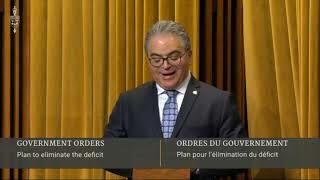 "Mr. Speaker, with the new and growing economy moving to a more knowledge based, digital focus; we need to make sure our future talent pool has the skills needed to compete and excel on the world stage. We need to ensure our young people have the necessary knowledge and skills to compete and succeed but also the passion to innovate. Taking the initiative to instill that passion for learning is vital to our collective success. Can the Minister of Innovation Science and Economic Development please explain what steps this government is taking to ensure our young people are ready for the digital global economy of today, tomorrow and beyond?" Watch his answer here. 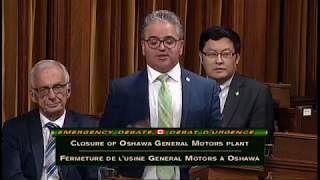 Added December 13, 2017 from Francesco Sorbara. 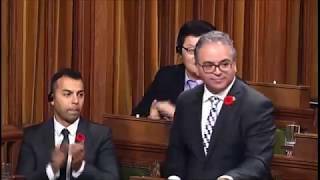 Added November 29, 2017 from Francesco Sorbara. Every Canadian has a family member or friend affected by mental health. Fighting the stigma of mental health requires raising awareness, providing constant support, and ensuring financial contributions to further the reach of mental health programs. Run by dedicated team of volunteers, including its Board of Directors, Hats on for Awareness works to enhance the lives of not only those living with mental illness, but support the family members and friends of those affected by mental illness and addiction. Hats On For Awareness is a registered charity based in my riding of Vaughan, Ontario and it all began as a promise made 28 years ago when the Tiberi family patriarch, Giovanni, lost his battle with depression and took his own life. After his death, his daughter, Enza Tiberi-Checchia realized that she did not understand or know enough about depression and if the family had, they might have been able to help. It was then that she made a promise to prevent this from happening to other families. In 2009, Hats On For Awareness was co-founded by Benny Caringi and Enza Tiberi-Checchia and today the charitable organization has raised more than $625,000 through its annual Hatsquerade Gala event. Lets put a Hat on and join the effort to raise awareness about how to better address the mental health issues that affect us, our loved ones, our workplaces, and our communities. Canada has made important advances in mental health care, and our Government is committed to continue to promote care, support, and services. 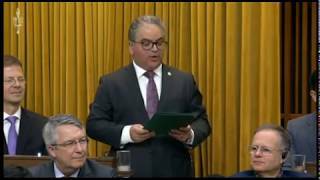 Watch my statement in the House. 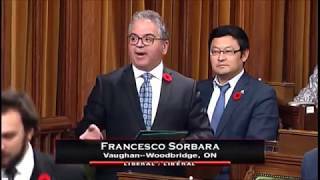 Added November 10, 2017 from Francesco Sorbara. Added November 8, 2017 from Francesco Sorbara. 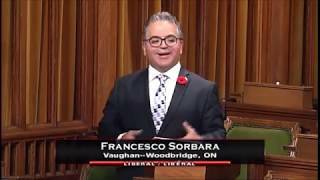 Added November 1, 2017 from Francesco Sorbara. 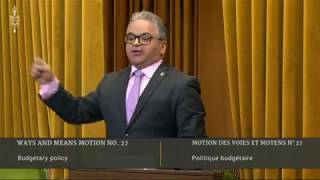 MP Sorbara rises in the House to ask the Hon. 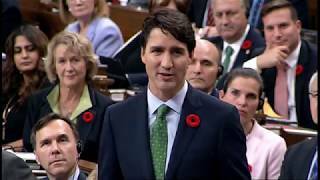 Prime Minister a question on the Budget Implementation Act 2. Added October 19, 2017 from Francesco Sorbara. Home is where the heart is. Yesterday I rose in the House to congratulate the Greenpark Group on reaching another milestone and celebrating their 50th year. Added September 29, 2017 from Francesco Sorbara. The Hon. 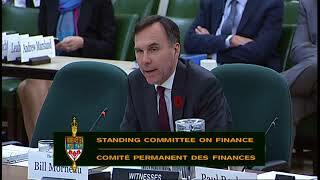 Bill Morneau, Minister of Finance appears before the Standing Committee on Finance to discuss Tax Planning Using Private Corporations. Contributions to the Department of Finance’s Consultations. 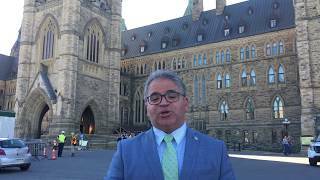 Added September 25, 2017 from Francesco Sorbara. 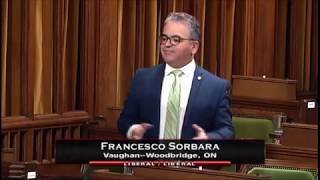 Added September 22, 2017 from Francesco Sorbara. Added September 21, 2017 from Francesco Sorbara. 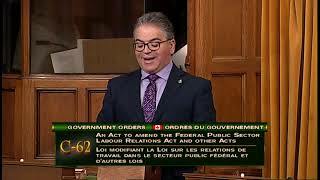 Today MP Sorbara rose in the House to speak on the preliminary application of the Comprehensive Economic and Trade Agreement (CETA) by which thousands of jobs will be created for the middle class and those working hard to join it. 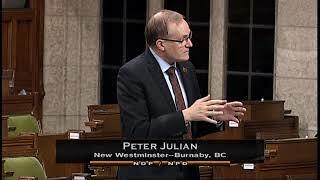 This day marks a new progressive chapter for the economic relationship between the European Union and Canada. 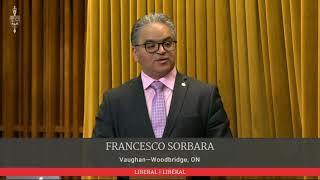 Added September 20, 2017 from Francesco Sorbara. 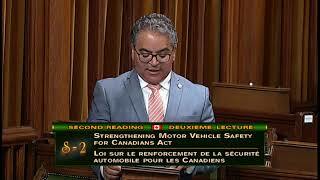 MP Sorbara speaks in the House on Bill C-21: An Act to Amend the Customs Act (Legislative Amendments: Entry-Exit). Second Reading. 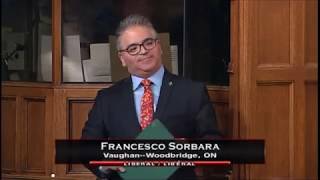 Added June 29, 2017 from Francesco Sorbara. Canada’s 150th birthday is right around the corner and I’m looking forward to celebrating this special day with you! There are many fun activities happening throughout the riding this July 1st, please visit www.vaughan.ca for a listing of events. Let’s get out and celebrate this historic milestone for our country. Happy Birthday, Canada! 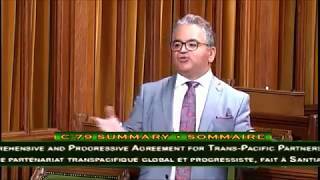 MPs Sorbara and Boissonnault talk Equality. 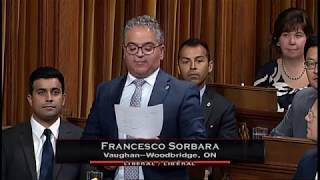 Added June 23, 2017 from Francesco Sorbara. 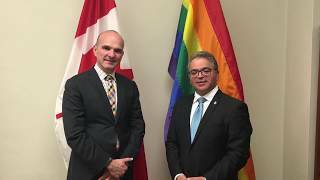 My discussion with MP Randy Boissonnault about LGBTQ and equality issues. 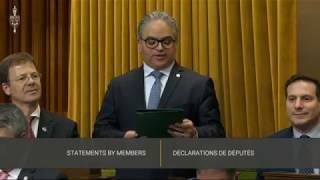 Brief wrap-up of the many accomplishments from this parliamentary session. 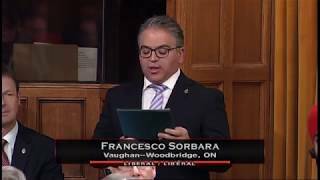 Added June 20, 2017 from Francesco Sorbara. 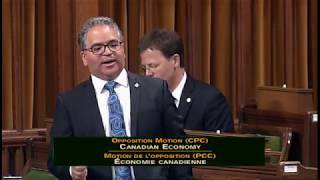 My speech on Budget 2017 at Third Reading. 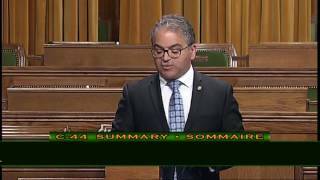 Added June 16, 2017 from Francesco Sorbara. 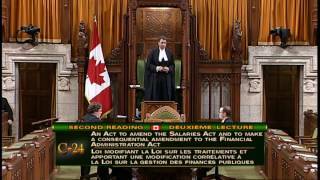 My speech on C-24, changes to the Salaries Act which making all Ministers salaries equal. 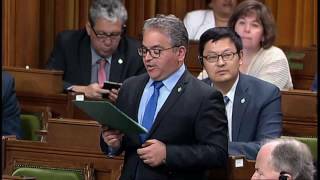 Added June 13, 2017 from Francesco Sorbara. 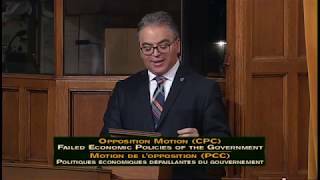 MP Sorbara addresses the House of Commons on the optimistic nature of the Canadian economy and, how through the creation of good, well-paying jobs, the Canadian economy is growing and the unemployment rate is dropping.